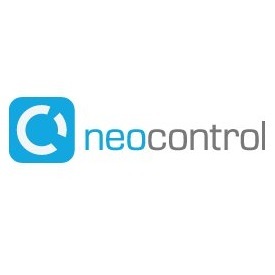 ORLANDO, Fla. — Neocontrol, a leading company in the home automation market headquartered in Brazil, has established their North American subsidiary in Orlando at the University of Central Florida Business Incubator in Central Florida Research Park as a Soft Landing client. Neocontrol provides a full range of innovative, custom wireless home automation products and systems. With more than 220 resellers in South America and Asia, they realized it was time to move forward with plans to expand operations into North America. Neocontrol has achieved its successful market presence based on the innovative design, environmental sustainability and the wireless, easy-to-integrate nature of their products. Andre Comitre, chief operating officer, relocated from Brazil to Orlando to open Neocontrol US LLC. The firm has already begun established reseller agreements with several Canadian and US companies. “When we decided to open a branch in the US, we chose Florida for its growing economy and great demand for new housing. We chose Orlando specifically for its strategic location in the middle of the state with excellent airport and logistics infrastructure,” Comitre said. “In addition, since we have carried out some of our research and development in Brazil with a renowned university there, the opportunity to partner with UCF through the Incubator’s Soft Landing program coincided with the company’s strategy of academic partnerships,” he explained. The UCF Business Incubator’s Soft Landing program provides a suite of resources designed to help expanding firms transition to new business environments by helping them quickly adapt and connect to the business community while reducing risks and costs involved with testing and operating in a new market. “The Soft Landing program offers companies from outside the Metro Orlando area an opportunity to establish a presence in Orlando and take advantage of the incubation support network while bringing in new jobs and economic activity here,” said Carol Ann Dykes site manager for the UCF Business Incubator in the Central Florida Research Park.